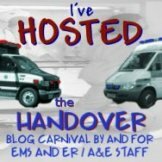 Today I have the priviledge of hosting my first edition of Change of Shift, the blog carnival set up and run by Kim from Emergiblog, and designed to showcase nursing related blogs throughout the blogosphere. Its been a busy couple of weeks with hosting our very own EMS/ER carnival ‘The Handover’, then Grand Rounds, so I thought why not round it off with Change of Shift!! So, whats it doing here, I hear you all ask? Whats nursing got to do with Medic999 and Paramedicine and emergency care? First, I will deal with my bit. I qualified as a registered nurse in 1995 and practiced for 5 years before turning my hand to pre-hospital care. I have seen both sides of the coin, in hospital and out of hospital healthcare and I truly feel that my nursing background has given me a valuable insight and general grounding that not all entrants to paramedicine have had the opportunity to gain. I also strongly feel that we are interlinked in medicine, especially in the emergency departments, but also on the wards and units of a busy hospital. We may meet in the resus room, or on a ward when we bring a patient to you but the professional relationship that develops can be either very rewarding and effective or sometimes even disruptive and combative. In this I have also seen both sides, but personally I enjoy very much the interactions I have with the nurses in the Accident and Emergency units I supply patients to. So whilst you are here, have a look at this little ol blog and those of my colleagues in my blog roll to the right there and see what its like on ‘the other side’ too. See Jane Nurse gives us all a quick insight into some frustrations in her role as a Telemetry Nurse (I didnt even know there was such a speciality, but after reading this post, a speciality is most definitely what it is), in the post As the tele pack turns. Its time to welcome a newbie to Change of Shift, in the form of ‘little d’, a volunteer EMT, who has taken the plunge and gone to nursing school. In her blog, Crash Course in Nursing, she has penned the post ‘The Hard Part’ which gives a fairly unique insight into nursing from an EMTs perspective. Next we move over to The Man Nurse Diaries. In this post, Code Blue during clinical, we hear about a patient who takes a turn for the worse, and the brave decision that followed from our intrepid final year student nurse, to take his place in the response team to treat ‘his’ patient, and the learning experience that came about through being assertive when needed. A blog article by Sean Dent on the website Scrubsmag, really hit the nail on the head for me. I see the same thing struggled with by some of my paramedic colleagues as he talks about in his post Tsk…Tsk….Tsk….Transference. Health Fitness How To, addresses the still often misunderstood condition of Chronic Fatigue Syndrome, in the post Five Things you should ever say to someone with Chronic Fatigue Syndrome. As you read through the list, I bet you cringe as you realise either you or one of your colleagues has said, or thought those exact same things. A relative newcomer to Change of Shift is the blog Nursing Student Chronicles. In this post, You know you’ve been in nursing school to long when…, we are given an insight into a chance moment gave an amusing insight into the pressures of undergoing nurse training in the 21st Century. Nursing Assistant Guides. With the current healthcare debate raging in the U.S, this blog helps cut through all the information out there are shares with us their Top 50 Healthcare Policy Blogs. The blog of Nurse Practitioner Schools, also cuts some of the work out for those wanting to know more about oncology (A subject close to my heart, as that is where I started my nursing career), in its post Top 50 Oncology Blogs. The next submission is a huge list of 100 Blog Posts You Should Read before Going to Med School. This can be found at the blog of Nursing Schools.net, and gives a great insight into some things to think about before stepping into the big bad world of medical/nursing education. Out of the same stable comes PhD in nursing Online which in its blog looks at the Top 100 Blogs to help you become a better nurse. This list is bursting with great blogs to read, so could be a great place to pop in and see if you have subscribed to them all already. And finally, an interesting little selection at Nurseblogger, gives us a quick lesson into the 25 most famous nurses in history. I wonder if I should feel ashamed that I havent heard of the vast majority of them?? Thanks for stopping by and reading. As I said at the beginning, feel free to click through my blog and some of my favourites in my blog roll, you may read something that you like! 🙂 this is great reading! thank you! Is that your ambulance in the header? I have never seen such a bold one before. Thanks for the inclusion in the COS! Nice edition. Wow! Top notch edition. I really loved the quoted text for each submission. Sorry so late to thank you! Great job!